You all know that I love Thirsties! Back when Ethan was itty bitty we did a review & giveaway for a Thristies Duo All-in-One Cloth Diaper and now the amazing people at Thirsties have given me a Thirsties Duo Diaper to review in their brand new Polka Dance print and also one for you to win! Isn’t it (and Ethan of course!) adorable?! I just LOVE me some polka dots and YES – boys can wear polka dots too, even if some of the dots are pink and purple! The base color is a beautiful chocolate brown with multi-colored polka dots and I chose mine in size 2 with snap closure. No need to remove soiled insert before washing. The handy sleeve design allows the insert to agitate out during the wash cycle. Also remember that even though Thirsties Duo Diapers come in two sizes – they still grow with your baby! Ethan’s size 2 is on the smallest adjustment and I know it will fit him until potty training – I love that these are so easily adjustable! We would love for you to win a Thirsties Duo Diaper in the size, closure, and color/print of your choice! Thanks, Thirsties! Please give Thirsties a follow on Facebook and read my giveaway rules & regulations to make sure you enter correctly and are eligible to win. Good luck! Disclosure: I was provided this Thirsties Duo Diaper in exchange for this review & no further compensation was received. All opinions on this blog are my own. So cute!! 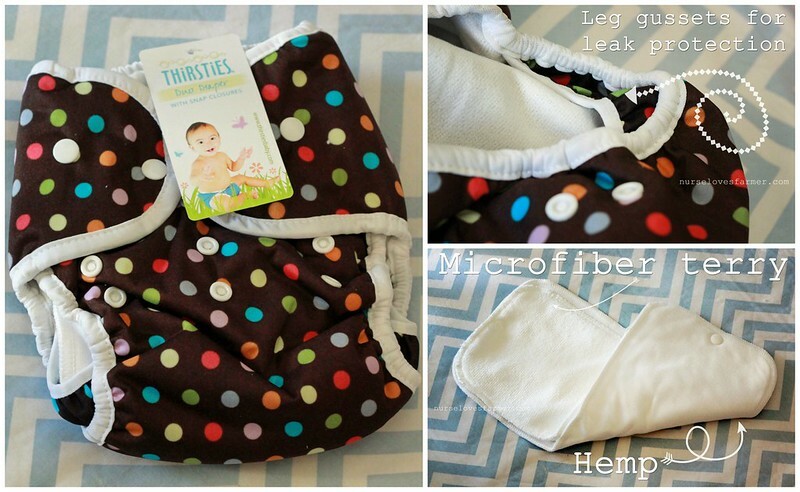 I'm new to cloth diapering and would love to try a thirsties!! I would love the Scottish Rose if I won! I love the Black Bird print! Hmmm, either honeydew or polkadance. I would love a Polka Dot one!! Thanks for the giveaway, and your child is just delightful! Polka Dot for SURE!! Size 2!! Love the polka dot print! Gender neutral and so cute! I love the hoot print. I would choose Polka Dance. Scottish Rose is so funky! Cute stuff. I'd get black bird (I like how gender neutral it is) or rose. I'd get the new polka dot print in size 1! The Hoot or Blackbird—-hard choice! My recent post Audrey at 8 Months Old! Super cute diaper, love the polka dots!